Dollhouse measures 24" L. x 16 1/2" W. x 19 1/2" H.
This fixed-roof, open back hardwood dollhouse is sturdily constructed to last. Includes 37 pc. 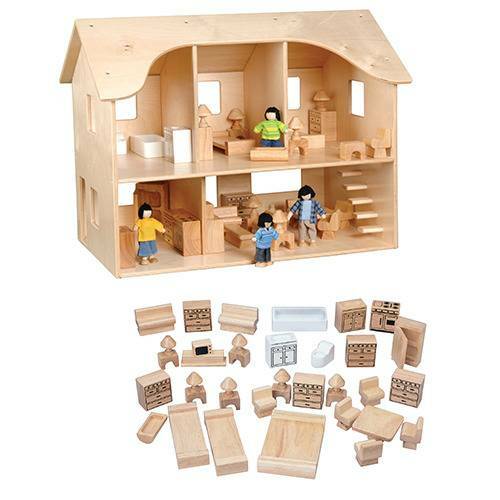 wooden furniture set scaled 1" to the foot to furnish 6 rooms.